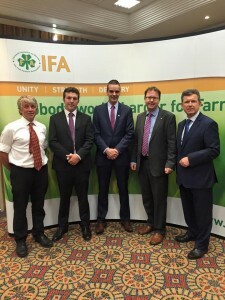 It was great to sit down with Irish Farmers Association (IFA) President Joe Healy and the Kildare delgation at their Oireachtas briefing recently. The Farmer Income Crisis briefing highlighted many serious issues affecting our small farmers across Kildare North. It’s imperative we improve the supports available to small farmers in Kildare. I am looking forward to continue working with them to promote and support the good work the farming community do in our county. If I can be of any assistance to farmers or their familys applying for grants etc. please dont hesitate to contact my office.